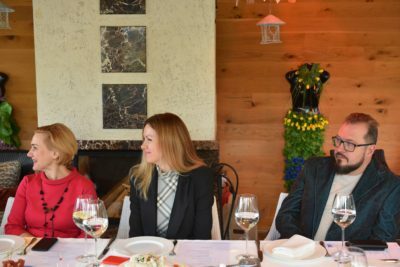 On February 20, Foreign Investors Association (FIA) members had an informal meeting with the Governor of the National Bank of Moldova (NBM) Mr. Octavian Armasu, accompanied by Mr. Vladimir Munteanu, First Deputy Governor and Mrs. Cristina Harea, Deputy Governor. During the event, FIA members approached various issues, such as: macroeconomic perspectives and trends, mainly related to the inflation and MDL position in respect to USD and EUR, attraction of foreign investors on the banking market in Moldova. In addition, the participants discussed about the measures and actions undertaken by the NBM to eradicate the undeclared trade, mainly related to stimulating cashless transactions, but also came up with proposals regarding the digitalization of some services from financial-banking sector. 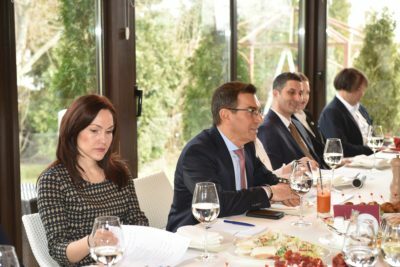 The NBM representatives communicated about the actions to be carried out to continue the implementation of the initiated reforms, and expressed their openness towards business proposals and suggestions. FIA President, Dr. Alexander Koss, thanked NBM representatives for the participation and openness, reiterating the need to maintain the constructive dialog between state authorities and business environment that will improve the investment climate of our country and attract new investments.